Mediation isn't the right choice for every couple. Read this article for some clear signs that you should go ahead and hire a Canadian divorce lawyer. When the going gets tough, the tough get an attorney. Although mediation is a goal of many folks seeking a divorce, it isn't the best option for many. If you are going through a divorce and aren't sure you'll make it through, there is help. You don't have to go through a divorce alone. A qualified Canadian divorce lawyer can negotiate on your behalf. Rather than fighting with your soon-to-be-ex-spouse, take the high road, and let an attorney help you. Here are eight reasons you should seek the help of a divorce attorney instead of mediation. Abuse or violence within a marriage is more than enough reason to end something. If you were the victim, feelings of fear are normal when being near the abuser. Even if you are getting out of the marriage, facing or standing up to the abuser is daunting at best, and impossible at worse. Don't let these feelings get in the way of seeking what is rightfully yours. A Canadian divorce lawyer is present at court with you. They will explain your case to the judge and make an argument on behalf of you. During an emotional time, this is a valuable support that is instrumental in giving you back your strength. Feelings of anger, frustration, and hurt are normal in any divorce proceeding. Unfournatley, these feelings need to go on hold when working toward a mediation. These are times when animosity runs high, and it's best to seek outside assistance. A qualified Canadian divorce lawyer will focus on the goals you are trying to achieve in the divorce. This eliminates the need for mediation and allows you to go to a third party. Divorce leaves many folks unsure of the future. If you are being stalked at work, harassed on the phone, or are not in an emotional state to defend yourself, you need an outside advocate. This is trying enough to deal with on top of a divorce. Your mental and emotional state feel drained, and you cannot make the best decisions for yourself. Having a professional who is used to helping folks in your situation is a safe alternative. It allows you to get everything you are owed, without being taken advantage of. If you want a divorce as quickly as possible, you'll have faster results working with a Canadian divorce lawyer, instead of mediation. This is because uncontested divorces are the quickest. An uncontested divorce means you both agree on the terms set and are ready to end the marriage. By choosing the services of a lawyer, you aren't constantly meeting with your spouse and playing games or going back and forth. Having a no-nonsense plan in place means your divorce heads to court quickly and you move on with your life. It's important to understand that when pursuing mediation, this is something both parties must want. Mediators are present to guide, not make hard and fast decisions for others. If mediation is not something you're interested in pursuing, save yourself and everyone else time. 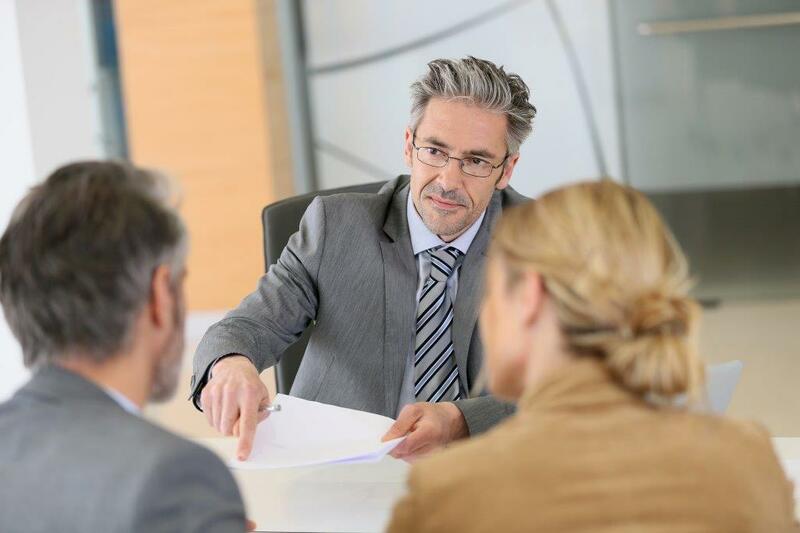 Use an attorney to help negotiate what you would like from your divorce. Almost everyone would love to say that money is no object when dealing with a major expense. If you have money in the form of savings, a large bank account, or assistance from a caring family member, now is the time to take advantage of it. While you can find a Canadian divorce lawyer who is affordable, be aware that your case could be continued if your spouse chooses to drag things out. Having an attorney helps expedite your court case, rather than trying to do it yourself. If you've never gone to court before, feelings of uneasiness are common. Not only are you in a difficult situation, but you are dealing with mental and emotional problems that are normal in any divorce. Essentially, you are outsourcing most of the work related to the divorce to someone who is in a position to help you. If you are going through a lot of other stressors right now, this is one of the best things you can do for yourself. Paperwork is stressful for everyone. if going through a court system and filing papers is something new, understand you don't have to do this all yourself. Although these are a lot of changes to deal with, your attorney can help you navigate the unfamiliar waters. If you find yourself in the middle of a divorce and feel mediation is not in your best interests, you have options. Contact us, and understand you don't have to go through this process alone. A qualified Canadian divorce lawyer can walk with you, every step of the way. This entry was posted in Canadian Divorce Lawyer by verhaeghelaw. Bookmark the permalink.